If you or your family depend on the income of a particular family member, then there is a good chance that you need to purchase life insurance. When an individual signs a life insurance policy, a binding agreement is entered between the insurer and the policy holder. The insurance company agrees to pay benefits to the beneficiaries listed on the policy in the event of the policy holder’s death. The cash benefit paid is meant to replace that person’s income. For some individuals, buying life insurance does not make sense. Understanding the types of people who should buy life insurance can help you determine if it is something you need. Married people tend to share their financial obligations, especially when kids are involved. If both individuals are working, it is wise to take out life insurance policies on the husband and wife. A larger life insurance policy should be purchased for the one who makes the most money. If one person dies, the surviving spouse can continue to meet the needs of the family by paying the bills and caring for the children. Some people consider stay-at-home parents to be the last group of people who need life insurance, but that is simply not true. Although stay-at-home parents do not earn an income, the contributions they make to the family lessen the financial responsibility of the spouse who is working. If a stay-at-home parent dies, the surviving parent will need to make arrangements for child care, transportation and other household activities vital for maintaining a family. The benefits paid in the event of the stay-at-home parent’s death will help the surviving spouse pay for these necessary items. A single parent has a ton of responsibility when caring for their family. Single parents act as the caretaker, financial provider and much more. 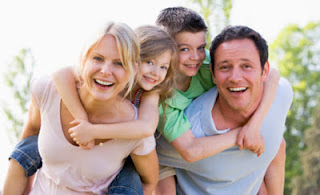 In most cases, children are totally dependent on the care provided by a single parent. This is a primary reason why single parents should have life insurance. In the event of death, the guardian who gains custody of the kids can use the life insurance benefit to care for the kids in the manner the deceased parent desired while living. Business owners are another group of people who should probably have life insurance. Life insurance not only allows the business owner’s family to maintain their standard of living, but can also make sure the needs of the business are properly handled. For example, life insurance on a business owner can be structured in a way that allows the remaining owners of the company to buy out the deceased owner’s interest in the business. Life insurance on a key person within in the business can help the company afford to hire a replacement. Individuals who are retired can also benefit from life insurance because it can help their heirs handle estate taxes after the person dies. The beneficiaries will receive the cash benefit immediately after the insured person dies so that all financial obligations can be paid. A life insurance is certainly a type of coverage that you should invest in. You may resent having to pay a monthly premium but at least you can be sure that your family's financial security won't be compromised in the event of your death.